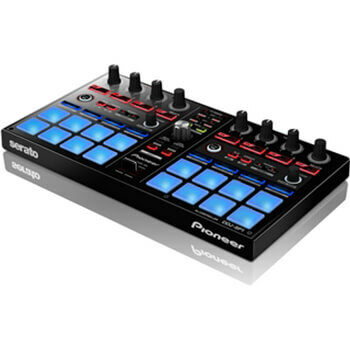 The latest item added to Fusion Sound & Light’s hire stock is the new Pioneer DDJ SP1 sub controller. With over 30 FX Powered by iZotope, eight Hot Cues and six samples this four channel Pioneer MIDI controller has been designed to be added to a set up that supports mixing and scratching with Serato DJ. With an aluminium front plate and rubber pots the design remains durable whilst being stylish.